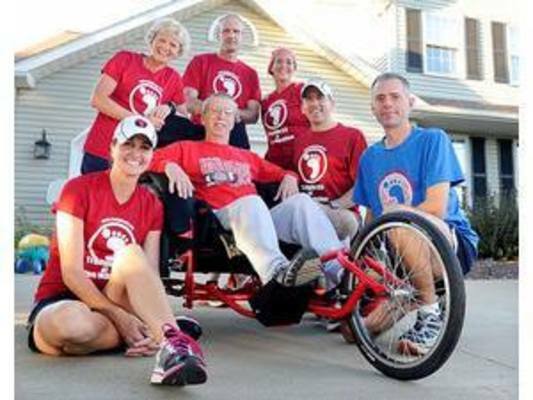 "Together, We'll Trample ALS" Tethered 5k, 10k, 15k, and solo distance race presented by Vertical Runner - Wooster is a VRRM Timed event. Grab two of your friends and get registered soon for this unique team event on the beautiful trails of Memorial Park! You and your team will be tethered together as you complete a 5K trail course. Once finished, the back runner will unhook, and the other two runners will complete the course again. Once finished with the second loop, the final runner will complete the course one last time after runner number two unhooks. Can't find anyone to tether yourself to? No worries! We've also added a solo 5K, 10K, or 15K run/walk to the event. You can take to the trails with the other runners and enjoy the great family-friendly environment. Start time for the event (all races) will be at 8:00 a.m. There will be no early packet pickup. Race day pickup will run from 6:00-7:45 AM at Memorial Park.